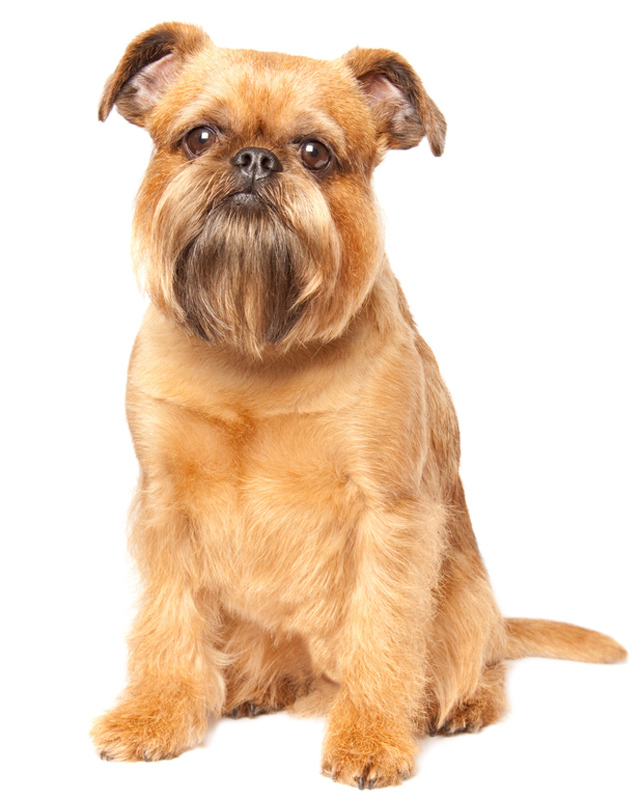 The Brussels Griffon or Griffon Bruxellois is a sturdy toy dog who is intelligent, alert, and has a terrier like disposition. 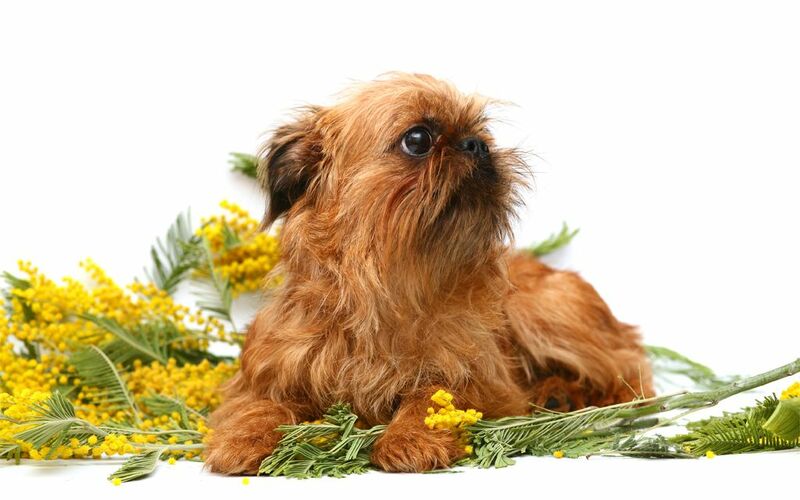 Brussel Griffons attracts attention by their almost humanlike, quizzical expressions. They have square proportions with a domed head which is large in comparison to the body. 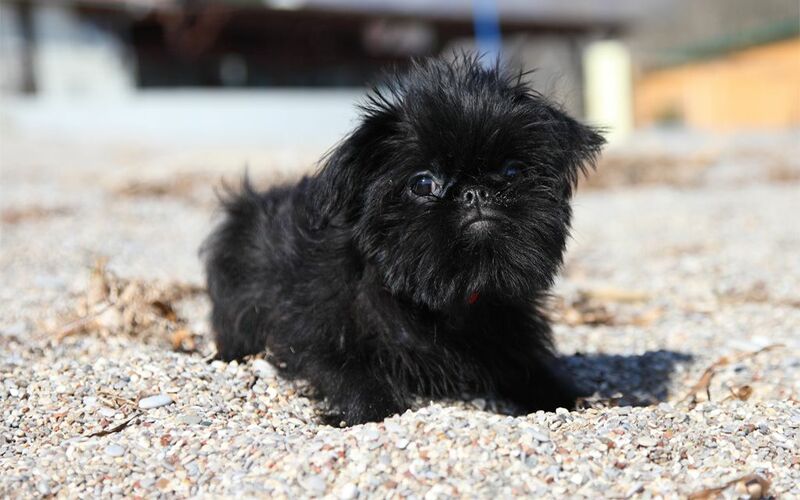 The Brussels Griffon’s pout gives him an almost human expression. To some viewers he resembles a miniature Boxer. There are two types: Rough-Coated (harsh wiry and dense), and Smooth-Coated or Petit Brabancon variety (short, straight, glossy), both making a fine companion. The Brabancon needs less grooming. Griffons come in red, a mixture of red-brown & black, black & tan, and solid black. Ears are generally cropped and the tail is docked and carried high, though cropping the ears is optional. 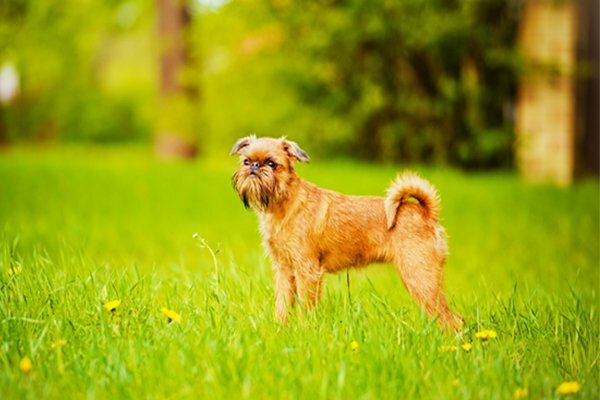 The Griffon is an intelligent cheerful dog with a terrier-like disposition. They make a fine companion dog. They do best with older considerate children. He/she is affectionate, willful and high-strung, but charming. They are lively and curious, love everyone, but can get quite moody. The Griffon is unusually sensitive and quite demanding, loves to be spoiled. They must be raised in the house with the family. This breed is good with other dogs and even with cats. These dogs may be gluttonous or picky eaters and may be difficult to housebreak. They make good watchdogs and can be taught to perform tricks. Griffons like to bark. Red, black, or black and rich tan with white markings. There are two types, rough which is harsh, wiry and smooth: soft. The coat of the Rough requires a lot of attention, however the coat of the pet dogs may be clipped. The Griffon sheds little to no hair. They are difficult to breed. Dams often require Cesarean section for whelping.Due to the relatively large size of their eyes, they can potentially suffer from lacerations, cataracts and glaucoma. Regular veterinary checks on their eyes is recommended. Also be careful not to over exercise or expose to very hot conditions, as their short snout means they are more inclined to suffer from respiratory problems such as heat stroke. 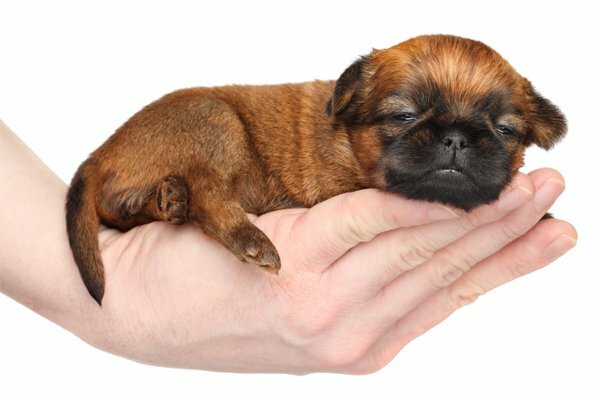 To minimize the risk of your Brussels Griffon developing any hereditary health issues, you should buy a Brussels Griffon puppy from a reputable breeder. This breed is ideally suited to life in an apartment, and is a popular city dog. Though they do need to get out each day for some good exercise. 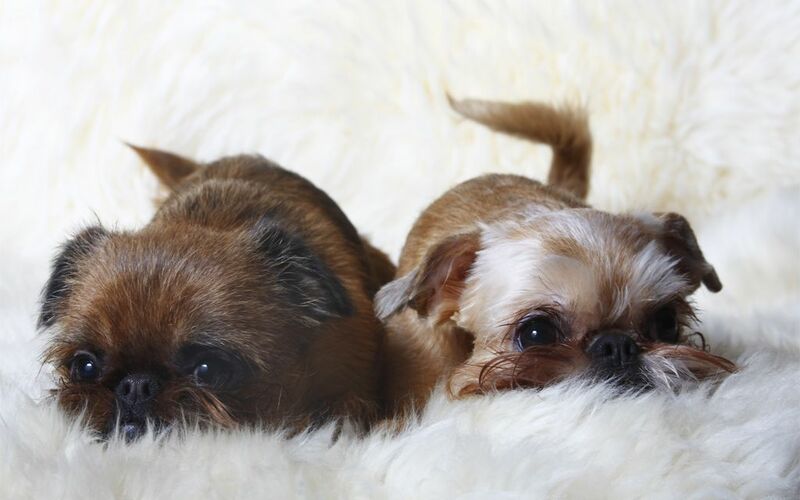 The Brussels Griffons are very active and playful indoors. Owners should be patient, precise and enjoy a busy, amusing dog. 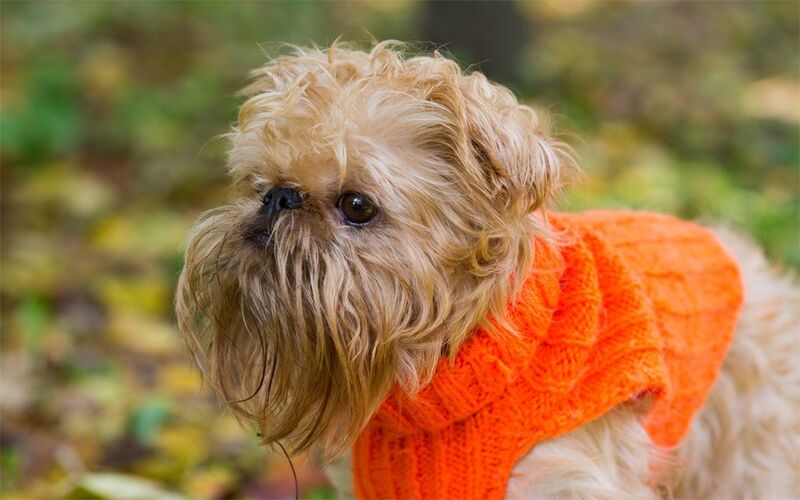 Seien Sie vor Allem, wenn eine neue Brüsseler Griffon Rasse zum Markt kommt. I consent to receive Notifications when new Brüsseler Griffon puppies are posted.